Summertime means vacation time. And for those of you with dogs, you don’t have to miss out. 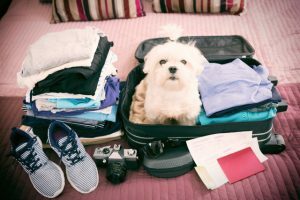 Traveling with your pet is both great for you and your furry friend, but there are a few things you need to consider before packing the treats and hitting the road. Luckily, New York travel company AllTheRooms is here to help you out. The following are a few tips on how to make travel with your pooch less stressful while ensuring your vacation together is a barking success. One of the first and more important things to do with your pet before going anywhere out of town is to schedule a visit with your dog’s vet. Ideally, you’ll want to do this with as much advanced noticed as possible (but still within any specifically required timeframes), in case advanced medical care is required. 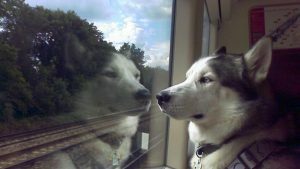 The doc will check to make sure your dog is in good health and suitable for travel. You’ll also want to notify them of where you will be traveling, as your dog might need specific vaccinations. The actual journey part of your trip may be the most difficult and potentially stressful time for your pet, so be sure to follow these simple tips. If you’re driving to your destination, think about places you’ll be seeing – and potentially stopping at – along the way. It’s best to not leave your dog alone in the car, especially in a strange environment. Will you be able to bring your dog with you? Will someone be able to watch them? Having another human friend along would be best, so you can tag-team the supervision. Even during shorts stops, like filling up your tank, can cause anxiety if your dog isn’t familiar with their surroundings, so plan accordingly. 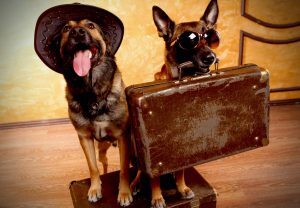 If you plan on traveling to your vacation spot by plane, train or boat, be sure to confirm with the transport company beforehand that your dog will be allowed on board. Follow any rules or regulations in place and your journey should be much more comfortable for you both. Planning ahead is key! No matter which route or method of transportation, remember your dog’s needs along the way. Breathing some fresh air, stretching their legs, taking a potty break, drinking water – and maybe even consuming a snack can help them feel like they’re getting a little vacay in too. An ID tag: Make certain your dog is wearing a collar with an ID tag that contains their name and your current contact information. If locations you’re visiting require a license or rabies tag, make sure you have that with you as well. Paperwork: Take any required paperwork for your pet while traveling. Check you have your pet’s passport allowing them to travel (if required), details of their immunizations and any documents outlining any health problems they have or medication they are taking. These will come in handy if you end up having to take your pet to the vet during your vacation as well. Their favorite item: whether it’s a ball, a blanket or a teddy they’re fond of, be sure to bring it with you to keep your dog feeling happy and relaxed. Something to walk them with: pack your dog’s leash and anything else they would wear for walkies, such as a harness. Toiletries: shampoo in case your pal gets muddy, and their doggy toothbrush to maintain good dental hygiene. Keep any medications they take on you, rather than in a bag, so you can quickly access them if you need to. Food: make sure you pack enough food for the duration of the trip, as well as any treats and chews to keep their tummy full and their spirits happy. Traveling can be stressful for some dogs and to help them feel at their best, give them lots of positive reassurance throughout the journey. You’ll also want to positively reinforce them for minding their manners during your adventures together. Behaving well in the car, going potty in the right spot, minding their manners in public places (hotels, restaurants, bustling tourist areas) should be acknowledged with lots of fuss! Send the message that they’re great traveling companions. Use toys, treats, and cuddles to reinforce them – maybe even buying them a souvenir. 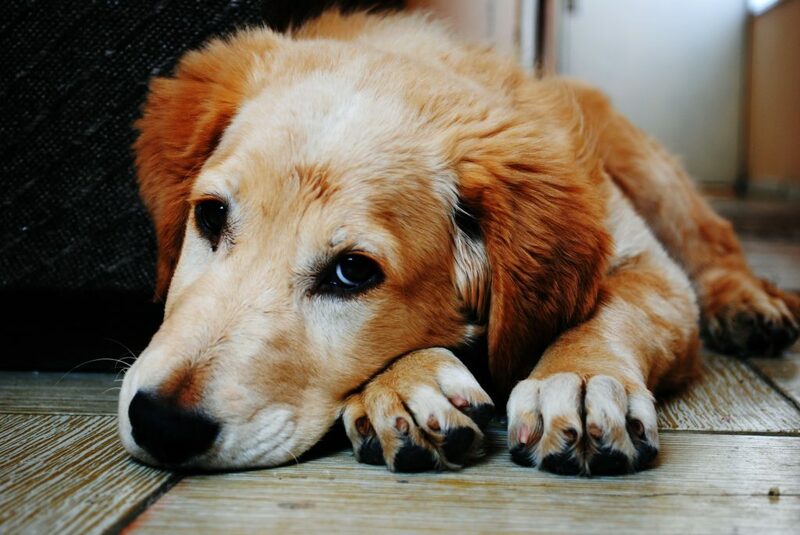 If your dog acts in a way that’s abnormal for them, they may be slightly stressed. Remember to stay calm yourself so you can think clearly and create a training plan to help. Speak soothingly to your dog and take a break from the journey if necessary. We hope these tips help you and your pet prepare and have a great vacation. Stay organized, positive and safe and you’re likely to have a stress-free getaway with your pooch. Sage Fitzpatrick is a travel blogger currently living in London. She can be found drinking tea, reading and traveling the world. When she’s not traveling she spends her time blogging about her travels over at A Virtual Postcard. If you’re like thousands of other puppy parents, you’re finding it difficult to fit regular walks into your busy schedule. 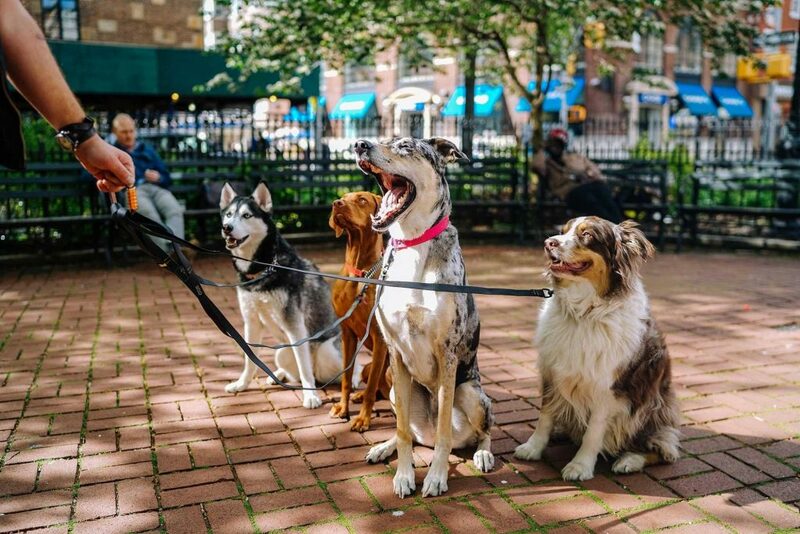 You don’t have to feel guilty about short changing your pooch when there’s probably a dog walker right in your neighborhood who can take up the slack. While getting the kid next door to walk your dog might seem like a good idea in a pinch, enlisting the services of a professional dog walker may be a safer, more sensible approach. 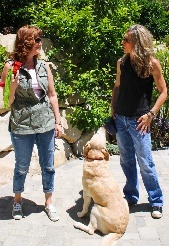 If you don’t know where to look, finding a reliable surrogate who will take good care of your dog can be a challenge. Find the right dog walker with a few simple tips. Even if you live in a small or mid-sized town, chances are there are a few professional dog walkers or professional dog walking services in your area. You could start by looking on Craigslist, in the local classifieds, or on the internet for the right dog walker. However, dog-centric businesses might yield better results. Many veterinarian’s offices have bulletin boards located in their waiting room advertising services for pet owners; they may even have a dog walker among their patients. Another place to try is a pet supply store. If there’s a dog park in your area, you might ask other pet owners who they use. Once you get a few names, it’s time to take the next step. Even if you choose a private dog walker rather than a service, chances are that anyone trying to build a business has a presence online. However, anyone can put up a social media page and call themselves a dog walker, so a little investigation is in order. Check popular sites like Facebook and Instagram to get a feel for their business. 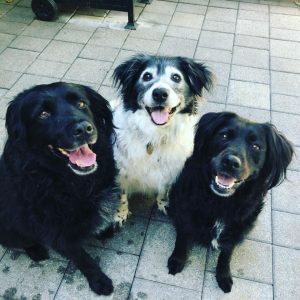 Look for photos of their walks and the other dogs they walk, including how big of a group they wrangle; if they’re regularly dealing with 10 dogs, will they be able to give yours the attention he needs? Is there feedback and interaction from clients on their pages and photos, or does the page seem relatively static and neglected? Since we also know that many people put on a good show for social media, look for any links to a business website. If they have one, is it laid out like a reputable business, with information about licensing and insurance? Do they list services or specifics about how they conduct business? 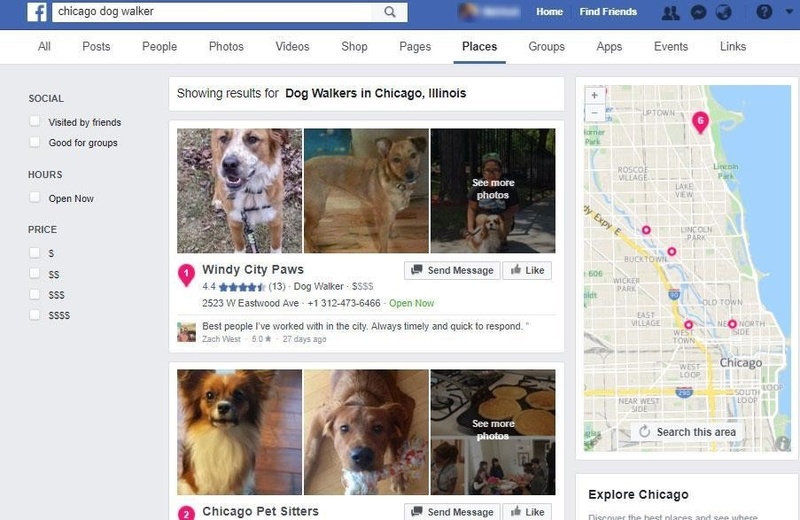 It’s also a good idea to Google the dog walker or their company for mentions on consumer sites like Yelp! This is a fairly objective way to learn if they’ve had any complaints about their services or rave reviews, and find out how long they’ve been in business. 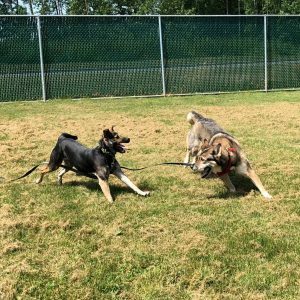 Much like when you’re looking for a daycare provider for your child or a contractor to work on your home, you should meet with several dog walkers before you settle on one. There’s some opinion out there that dogs know instinctively if someone is trustworthy or not. Arrange a meeting at their home or business, if they have an office. Observe how they approach your pet, and how your dog responds to them. What does their body language tell you? Do they seem calm and confident? Friendly? If you or your dog aren’t comfortable with them, you should probably pass. How long do you walk the dogs, how many walks per day, and how far do you walk? Do you walk in areas with heavy traffic or a lot of distractions? 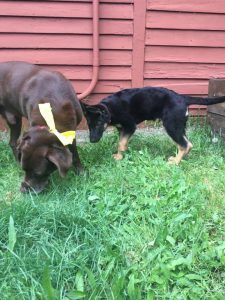 How do you deal with dogs who aren’t well-socialized? 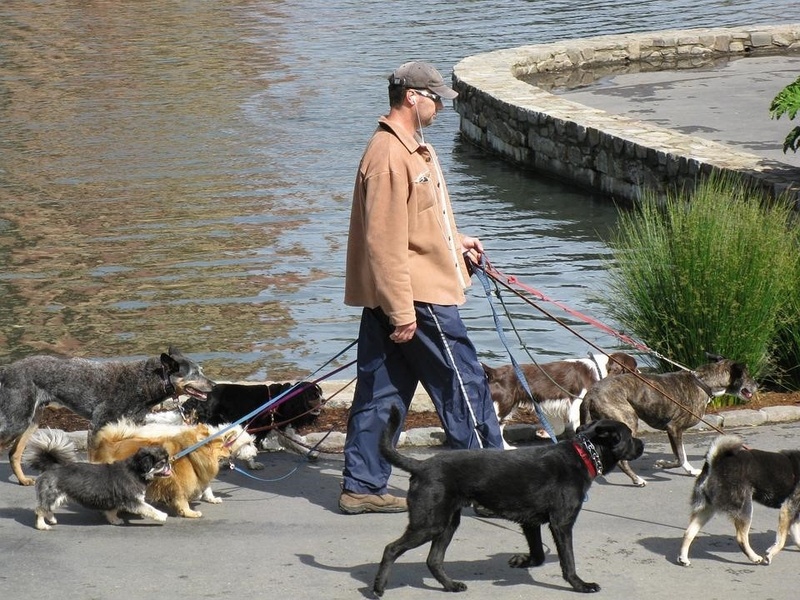 Do you walk some dogs separately, or do you take them all together? Do you walk the dogs with dog harnesses or just by the collar? Are you the primary dog walker, or will there be other people walking my dog? Do you have backup arrangements in the case of an emergency? Are they willing to allow you to accompany them on a test walk to see how they handle your dog? Length of time as a dog walker? Any formal dog training classes or certifications? Are they licensed and insured? Can they provide proof of both? Do they have training in canine first aid? 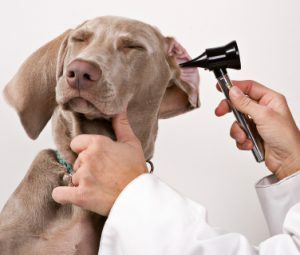 Do they have a veterinarian or arrangement for emergency care in the case of an accident or medical condition? An attentive, conscientious dog walker will also have questions for you, or at least express an interest in your pet. Although it’s not a definite reason to pass, someone who doesn’t might be indifferent or neglectful. Honesty on your part is just as important as expecting full disclosure from them. 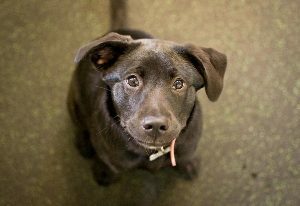 You should be prepared to give them specifics about your dog’s personality, quirks, and any medical or behavior issues. Other important disclosures include how they get along with other animals or children and how they react to loud noises or traffic. Once you’ve found someone who both you and your pet feel comfortable with, it’s time to get down to business. Get a firm price for services and payment arrangements. Some providers charge a flat rate that’s payable even if your dog misses a week or a few days, others charge by the hour or by the day, and still others charge by the month. Work out a payment schedule that works for both of you. You should also ask about about cancellation policies and other potential expenses or charges that might crop up. Get everything in writing, if possible. When your schedule and Fido’s collide, it’s time to look for solutions. Luckily, there are many dog-lovers who provide services to help pet parent’s like you give your furry baby the fresh air and exercise they need when you aren’t able. We all want the best for our dogs. Finding the right dog walker is well worth the effort. Whether your inquisitive canine and you have been invited for a happy hour event at your neighbor’s condo, a weekend at your friend’s home, or a month-long stay at your cousin’s lake house, you want to ensure you get invited back. In the past, we’ve discussed how to help your inquisitive canine be the pawfect host so we thought we’d hit the other end of the spectrum and address ways to set your precious pooch up to be a poster dog for being the pawfect dog guest. 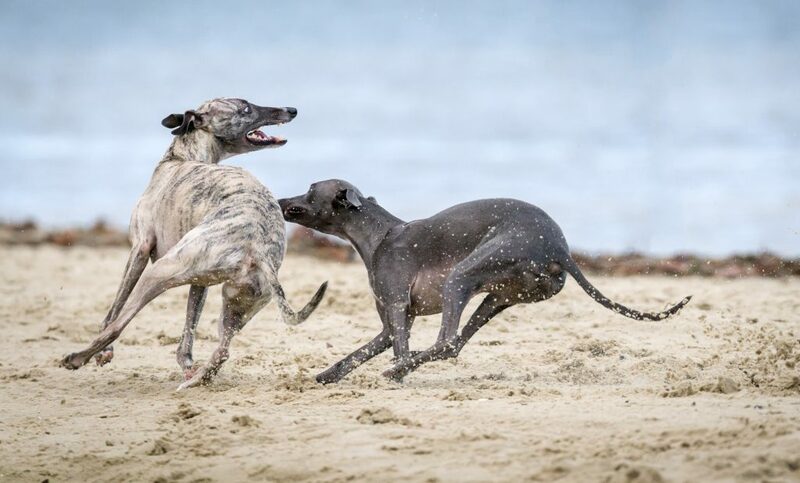 With holiday weekends around the bend and summertime on the horizon, we here at IC HQ’s wanted to share some of what we think are helpful tips to ensure that your canine is a gracious dog guest. 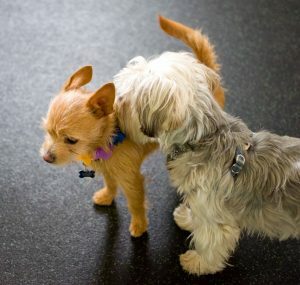 Make sure everyone is on board with hosting a bow-wow! While the person you’re visiting may give you the thumbs up to bring your furry baby, consider others who may be in the mix during your visit. While Uncle Bob might be totally comfortable around dogs, little Sally may be afraid of them. 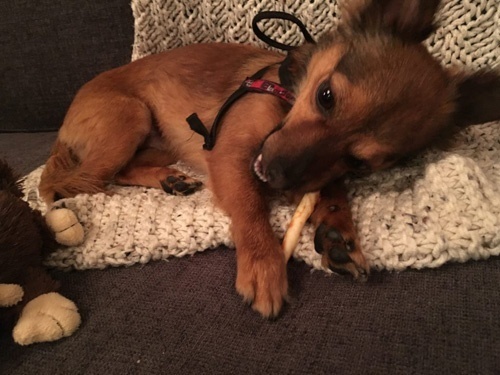 Additionally, consider leaving your inquisitive canine at home if she or he doesn’t play nicely with other animals (or vice versa, with the pets that belong to the people whom you’re visiting). Keep it clean and tidy. No matter how gracious your hosts are, creating extra work for them shouldn’t be part of your visit. 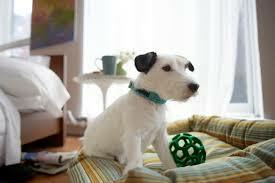 Cleaning up after yourself is key, and similarly, tidying up after Fido is essential, too. Remember to follow the fur trail, and wipe down, sweep, use a lint roller, or vacuum as you go. This goes for dirt and other outdoor debris, and food and treat remnants as well. You’ll also want to make sure toys are picked up and beds/crates/dog mats are kept in a discrete location and are not tripping hazards. Lastly, ask your hosts how they would like you to leave the place before you leave. Check and double check to make sure you’ve picked and packed up everything, and restored order to any chaos you and/or your canine may have created. Be like a stealthy Ninja! Are you up at the crack of dawn to take your dog out for a walk or to play in the backyard? How about moonlit walks before bed? Your host might have a different schedule, so keep this in mind when you and your inquisitive canine are roaming about. BYOS (Bring Your Own Supplies). Pack what you need, without relying on your host to provide anything for your dog — including towels! 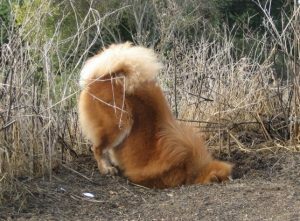 Dogs are, for the most part, simple creatures, but through domestication, it seems their “essentials” list has grown. Depending on the type of visit, you’ll want to remember to pack what you need, including a leash, harness, collar, bowls, food puzzles, toys, food and treats, medications, grooming aids, waste bags, a bed or crate, and towels. Reinforce your host’s behavior. Ya gotta love folks who welcome guest dogs into their homes. Show your gratitude from the get-go by giving them, and perhaps even their pet, a little gift. You can also express your appreciation by taking them out for a meal or to some place they enjoy. Lastly, follow up with a handwritten note. (These never go out of style, no matter how hi-tech our society gets). 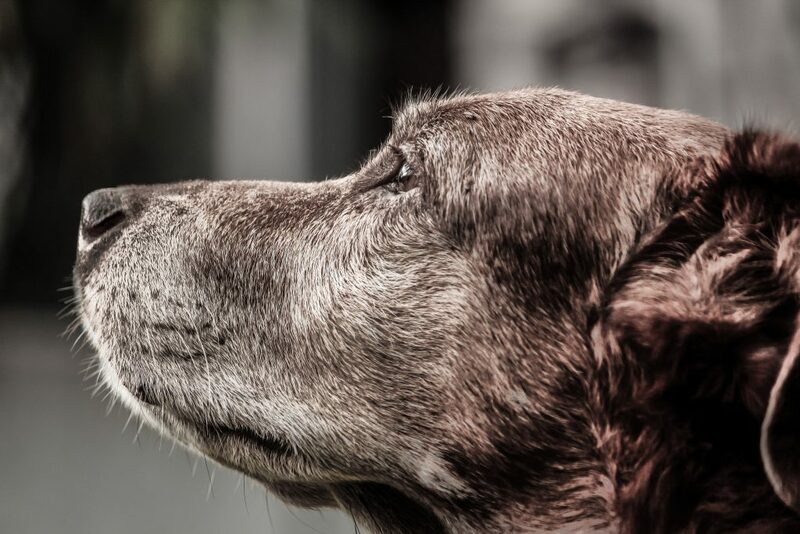 You might even include a photo of your dog at their place as a remembrance, letting them know your inquisitive canine appreciates them, too. Skills fit for cotillion! 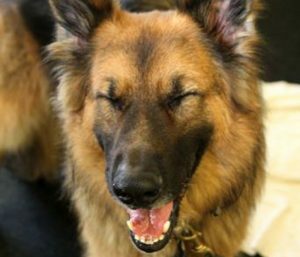 Now’s the time for your dog to be at the top of his or her manners game. 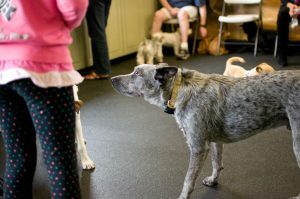 Being well-versed at sitting, lying down, going to his or her bed on cue, being quiet around distractions, leaving things alone when asked, and politely greeting people (and other animals) should be rock solid. This is no time for teaching new behaviors; this is, however, the perfect opportunity to demonstrate how wonderful your dog is. I would add in leash walking and coming when called too, as these behaviors are always needed, no matter where you go. Know the boundaries. Make sure your dog and you understand where his or her “bathroom” is, as well as sleeping quarters and lounging locations. Will your dog be allowed on furniture? Even if he or she is, designating a special blanket or towel for your inquisitive canine to use will protect the environment while also subtly conveying to your hosts that you respect their home. 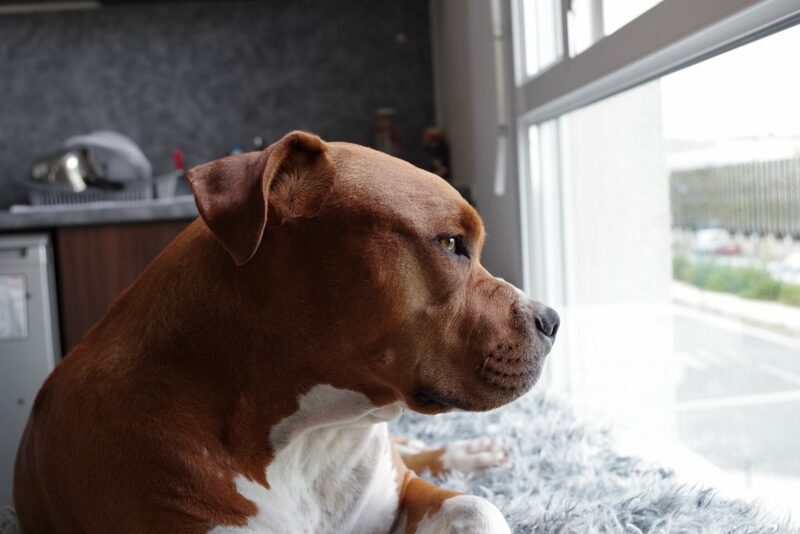 When it comes to house training, take your dog to the requested outdoor spot to do his or her business, and then positively reinforce the appropriate behavior — so that he or she knows where to go. 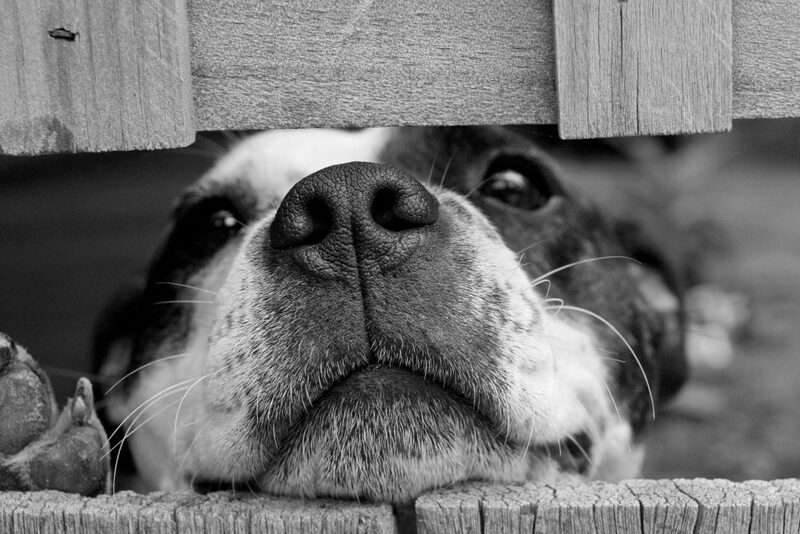 You’ll also want to keep a close eye on your dog to help prevent unfortunate incidents. Help your pup be the perfect dog guest. Visits should be fun and festive for everyone — including the host. A well-mannered inquisitive canine and self-aware guest set themselves up to be invited back every time! Having a conversation about the best choices for dog food and treats is an invitation to open up Paw-ndora’s Box. So before I begin, let me first make it clear that I am not a vet, vet nutritionist or dog nutrition expert. However, I am a certified dog trainer and dog-mom who happens to be passionate about what she feeds her dog and what she uses for training. For our new dog, Ringo, hubby and I wanted to start out on the right paw with his dietary needs. Poncho, the original inquisitive canine, had many dietary issues during the last few years of his life. Because of this, we admittedly had some emotional baggage when it came to choosing Ringo’s new diet. But instead of making decisions based on our own learning experience, friends’ opinions and what Professor Google says, we went to the experts. First we checked with our local veterinarian, whom we adore and respect. She provided us with her recommendations and rationale behind her choices. Because she knew our history with Poncho, she was fully supportive when I asked for a referral to a board-certified veterinary nutritionist with whom we’d worked in the past, Dr. Cailin Heinze. Dr. Heinze is a specialist who teaches at Cummings School of Veterinary Medicine at Tufts University. In addition to our formal consultation, I approached Dr. Heinze about being interviewed about dog feeding and treating for this post. The following are highlights from our conversation and include some fantastic tips to help you make informed food and treat choices for your inquisitive canine. Inquisitive Canine (IC): Mealtime is a convenient time to train, but what about other times during the day when someone wants to work with his or her dog? How important is it for healthy dogs to be on a specific feeding schedule? Dr. Cailin Heinze (CH): Once a dog is house-trained, then it doesn’t matter all that much when meals are given. The biggest exception would be for dogs with a medical condition, such as diabetes, and for those pets that require medication that must be given either with food or on an empty stomach. While a routine can be nice for the household, most dogs will adjust just fine to variable meal times/training. If a dog’s regular food is used for training, I would suggest measuring it out every morning to avoid over or under feeding if the training schedule changes. Anything left at the end of the day can then be fed as a meal. IC: When it comes to food labels, there seems to be a lot of confusing verbiage out there — everything from valid statements to marketing garbage. 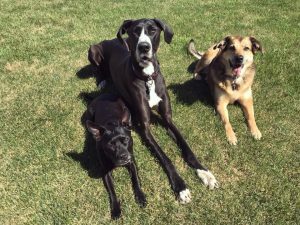 What should dog parents be aware of when they read a label on a can of food or on the side of a bag of treats? CH: There is actually very little information on labels that tell you about the quality or usefulness of the food. We have a lot of stuff on the Tufts Vet Nutrition website about labels and terms. “Natural” is an absolutely useless term that is commonly used for marketing purposes only. It has a legal definition – not synthetic – but that doesn’t mean anything because there are lots of very dangerous natural things, including arsenic, lead, yew and mycotoxins, to name a few. There are also plenty of safe synthetic ones, including some vitamins and amino acid supplements. IC: When choosing foods or treats for training, is it best to just use the dog’s own food as the first choice? What if that doesn’t motivate him or her? What other options work without having too much of a negative impact on the dog’s overall nutrition? CH: If a dog will work for his regular food, that’s great. For otherwise healthy dogs, lean meats normally work well because they are lower in calories and of course dogs usually love the taste. There are also perfectly fine options for “tiny” training treats that are only a calorie or two. Human foods, such as egg, meat, cheese or peanut butter, may also be good options. Just be careful about the salt, fat and total calories! Human baby food can also work, but keep an eye if there is any onion or garlic in the food or too much fat or too many calories. 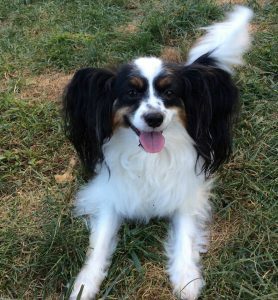 IC: Are there ways to enhance or “dress up” a dog’s usual foods? Can you add or change anything or will this throw off the quality of nutrition? CH: If you keep within a treat allowance of about 10% of the dog’s daily caloric intake, then you should be fine. For a healthy pet, you can add meats, fat and definitely fruits and vegetables to the main diet without much risk of causing big issues. This is assuming you are feeding an appropriate amount and type of regular food that is within the range of the feeding orders for your dog’s ideal body weight. IC: You mention adding “fat” to the diet. Are you talking about fish oils or nut butters? 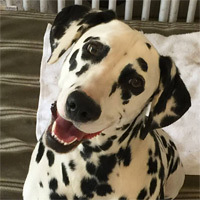 CH: Pretty much anything, as long as your dog does well with fat (some dogs can get upset stomachs or even pancreatitis if they eat too much fat) – chicken fat, lard, olive oil, flaxseed oil, tallow and even coconut oil. Keep in mind that a little bit goes a long way – about 135 kcal per tablespoon. There really aren’t healthy vs. unhealthy fats in dogs because they don’t get heart disease related to saturated fat like people do. As for fish oils, I generally give specific amounts. IC: If a person needs to change up the treats in order to keep their dog motivated, what is the best approach? Keep within the same protein? Or is it better to stick with the 10% rule and watching for signs of tummy upset? CH: The latter is fine. It’s probably good to use something for as long as it works before switching, just to avoid exposure to too many protein sources. That could be an issue later if any allergies develop. There is no real evidence that rotating or not rotating food choices makes a difference health or nutrition-wise. IC: Are there any treat recipes that you would recommend? Or is it best to just go with simple commercial items that are easily accessible? CH: Most treat recipes that avoid things like onions, garlic, raisins and undercooked animal products are probably fine, so long as you keep within the treat allowance. IC: What top tips do you want owners to know when it comes to treats/foods for their dogs? CH: Don’t overdo it. Outside of training, treats are often more important to the owner than the pet. Smaller is better! As an example, the first few bites of that cheesecake you eat usually tastes the best. If you stopped there you’d be thinner and healthier. Well, inquisitive pet parents, as we’ve discovered, dog feeding, treating and training can create a recipe for success, not a disaster. And thanks to Dr. Heinze’s sage advice, we’ve also learned that less is more, keep treats to 10% of the daily caloric intake, and use your dog’s meals to your advantage. And finally, it’s okay to ration out portions and use them throughout the day for training. When choosing the types of foods, it’s important to read between the lines of the labels and consult with your vet. If you feel like you need additional guidance, connecting with a vet nutritionist like Dr. Heinze is a great option to consider. For additional information, check out their website and Petfoodology blog where you can find a lot of information and resources for making informed decisions about your dog’s dietary needs. Here’s a question for you, my inquisitive dog friends. 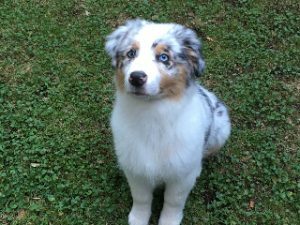 How do you use your dog’s food for training? Do you turn dog feeding into training time? Take it on the road with you? We invite you to join the conversation below.